American actress of the silent film era who starred in films such as The Wonderful Chance in 1920 and The Warrens of Virginia in 1923. She started acting at age 14 with a role on Broadway in the production Little Women in 1912. She was born with the surname Ehrlich and got the name Mansfield from the town in Ohio her mother emigrated to in 1885. She was born to Maurice and Harriett Gibson Ehrlich and had a younger sister, Edith. 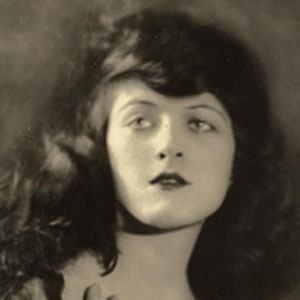 She co-starred with actor John Barrymore in the 1920 film Dr. Jekyll and Mr. Hyde.